Ever since the Guinness World Records were established, people have been trying their hardest to get into the record book. They will often do whatever it takes, no matter how bizarre or unusual, to make sure they can write their name in history and receive official confirmation that they are the best in the world at something. Those accolades aren’t just reserved for humans though, as Guinness World Records has a variety of records especially for animals, and they can be just as odd as those that people also have. 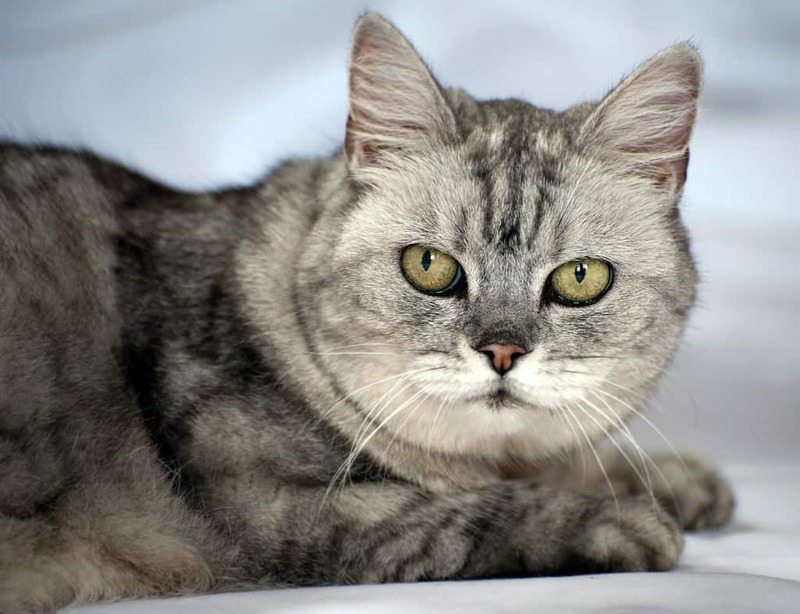 Smokey holds the record for the loudest purr for a domestic cat according to Guinness World Records. The sound put out by the animal was a startling 67.7 decibels, about as loud as a human shouting. 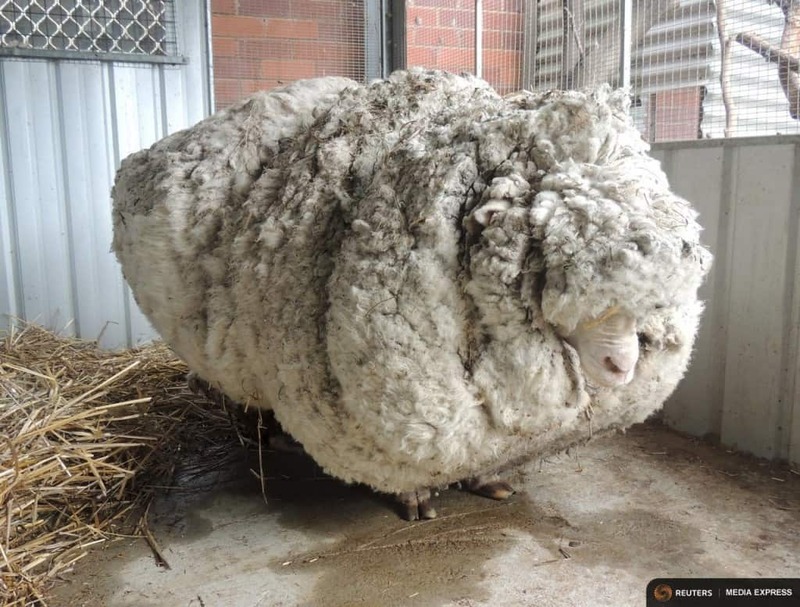 Chris the sheep was rescued from the outskirts of Canberra after it was seen to be struggling to move around thanks to the sheer weight of the wool it had grown. Estimates say that the wool had likely been growing for five years without being sheared and weighed a staggering 40 kilograms. 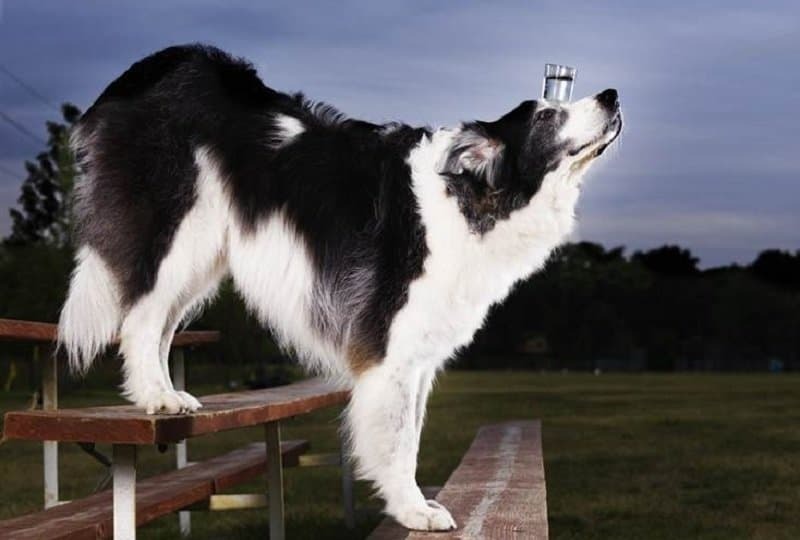 Sweet Pea is an Australian Border Collie that has proved excellent balancing skills as it holds two records that involve balancing a glass of water on its head. It has managed to walk both 10 steps forward and 10 steps backwards without the glass falling. 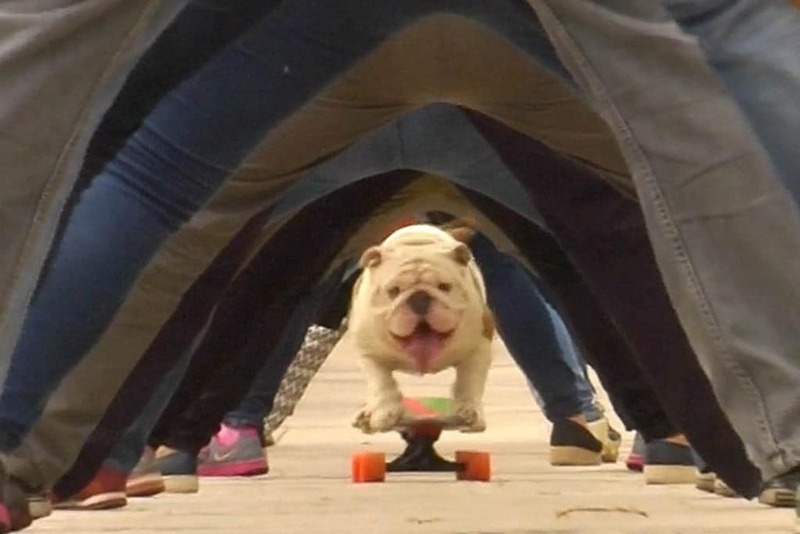 This bulldog, named Otto, gained headlines around the world when it set a new world record for the “longest human tunnel traveled through by a skateboarding dog.” In total, Otto managed to skateboard through 30 people standing with their legs apart in Peru. 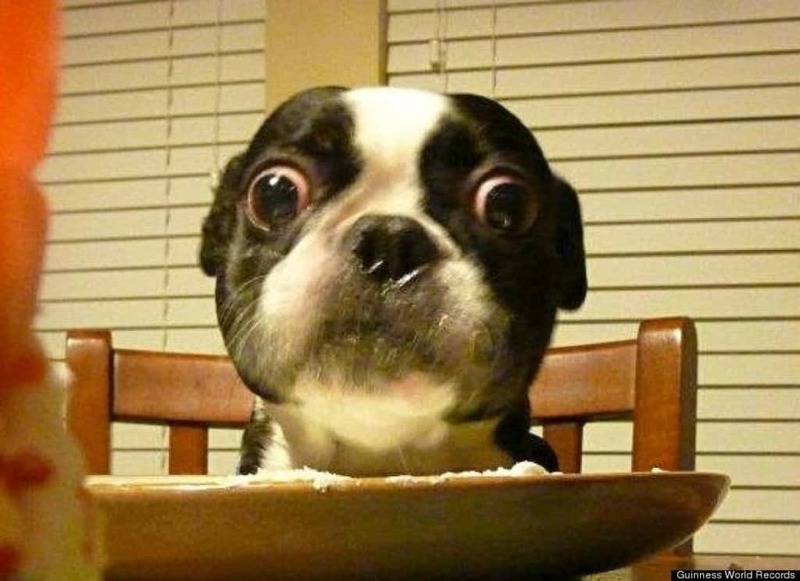 The dog with the biggest eyes in the world according to Guinness World Records is a 4-year-old Boston Terrier called Bruschi, with eyes that measure an amazing 28mm in diameter. 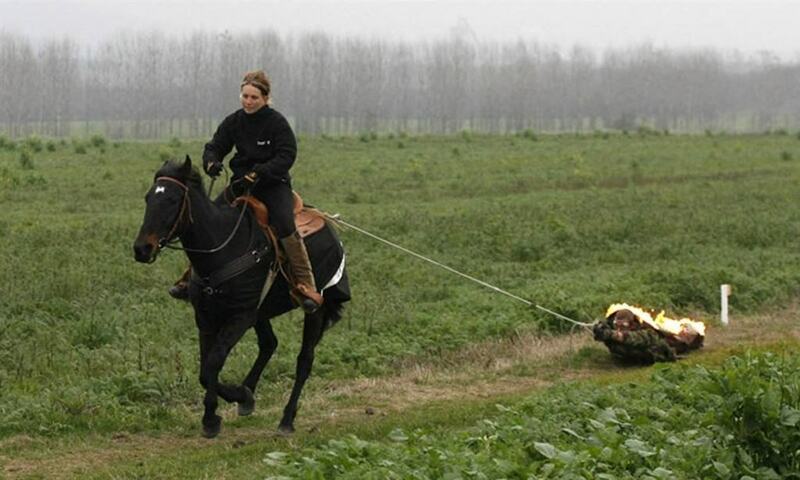 It isn’t exactly clear whether this was a record for the horse or the man involved when Halapi Roland was pulled almost 500 meters by a horse. What makes the record all the more bizarre was that he was on fire throughout the ordeal. 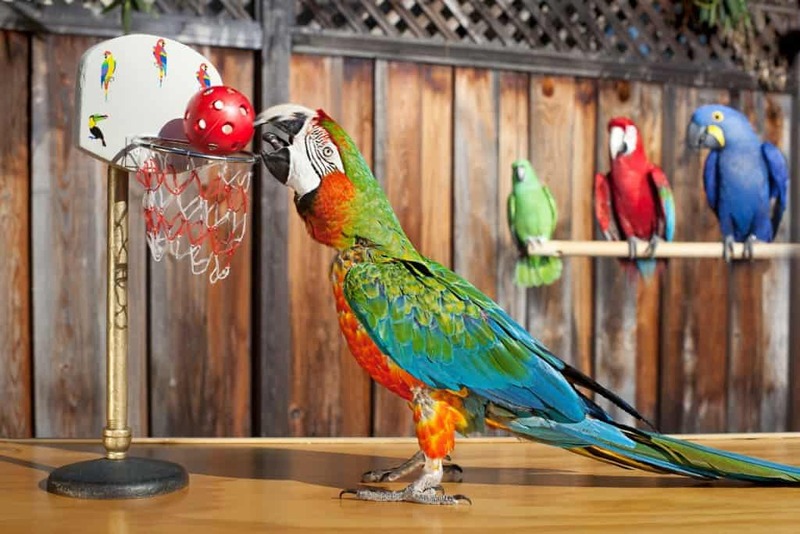 25-year-old parrot Zac is one of the most talented parrots in existence as it has set the world record for making the most basketball slam dunks in a minute. At his home in California, the bird was able to set a number of other records, including skateboarding for the longest distance and opening the most soda cans in a minute. 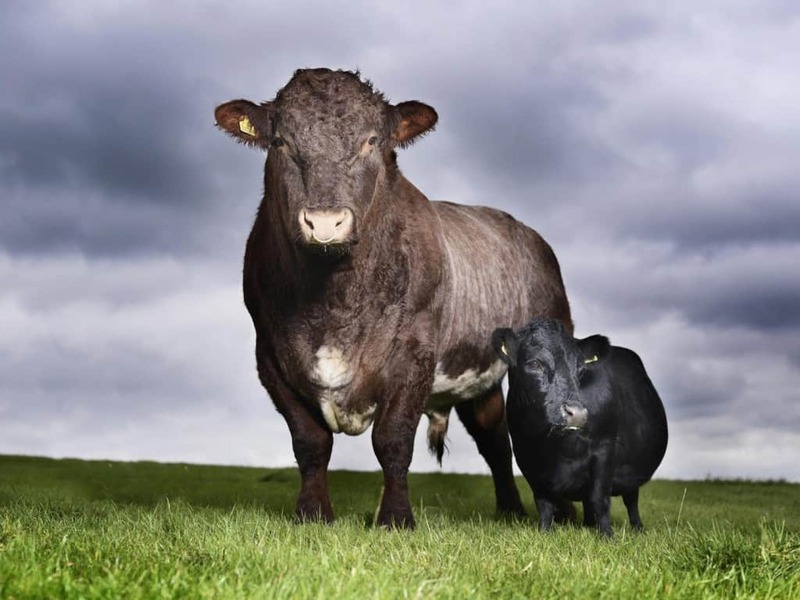 The world’s smallest cow is just 33 inches tall, making it no bigger than an average sized sheep. Called Swallow, it is a Dexter cow that lives in Yorkshire, United Kingdom. The small size hasn’t stopped it from living a full life though as it has given birth to 10 calves in her 11 years. 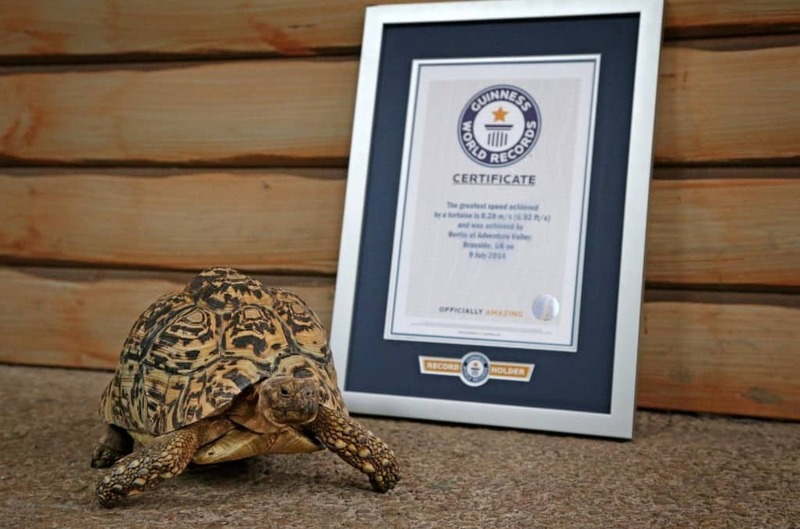 Bertie, a tortoise that lives in North Carolina in the US, has become the world’s fastest tortoise after managing to run at a speed of 0.6 miles per hour. According to the official who measured the record, this makes the animal twice as fast as the average of his own kind. 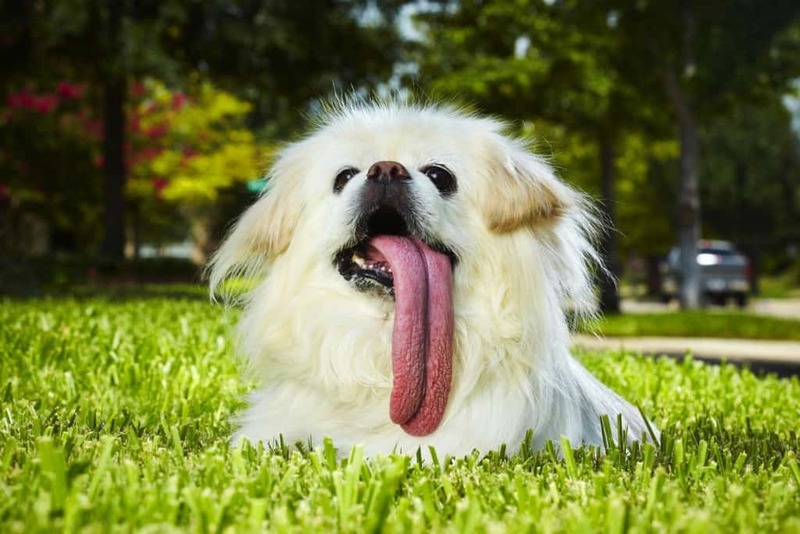 The dog with the longest tongue in the world is a Pekingese known as Puggy. The animal, who lives in Texas with its owner Becky Standford, has his tongue measured at 11.43 cm.